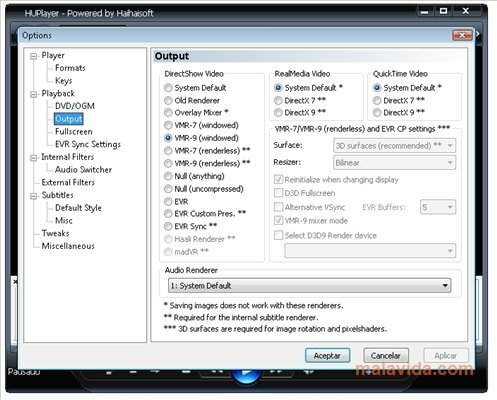 When it comes to playing videos on your PC you now have a new option: HUPlayer. 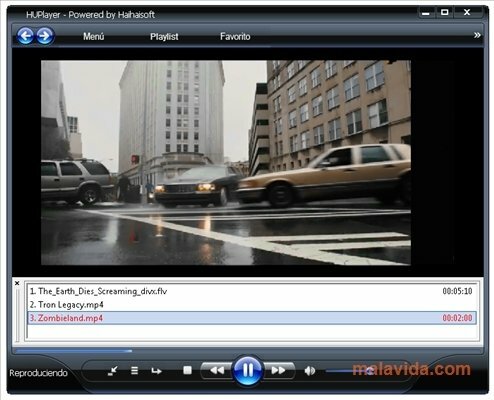 This player, that has been developed as a lighter version of Haihaisoft Universal Player, offers exclusive features when it comes to playing videos. 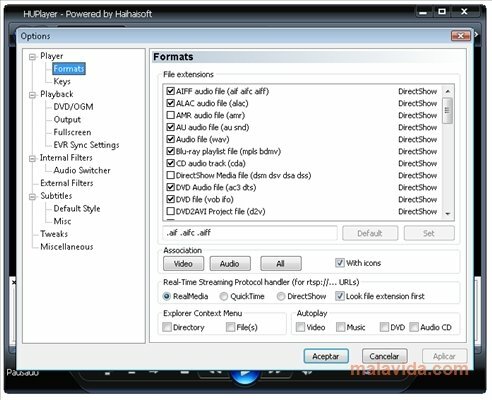 Compatible with the vast majority of popular formats and even with files protected by means of DRM-X 3.0, HUPlayer is quick and stable, it can be used on its own or together with your web browser to play online videos and offers many customization possibilities. 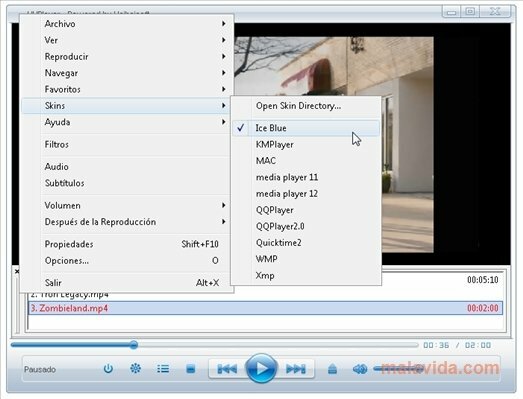 Support for the main video formats (WMV, ASF, FLV, RM, RMVB, MP4, AVI, MPG, 3GP, MOV, NUT, OGG, OGM and MKV) as well as audio (MP3, WMA, AAC, AC3, ALAC, AMR, DTS and RAM). Wide range of skins available to modify and customize the appearance of the software included in the package as well as others that can be downloaded from the products website. You can even create your own. Controllable by means of shortcuts. 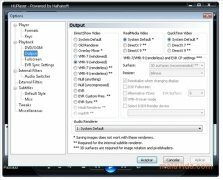 Support for “Drag and drop”. 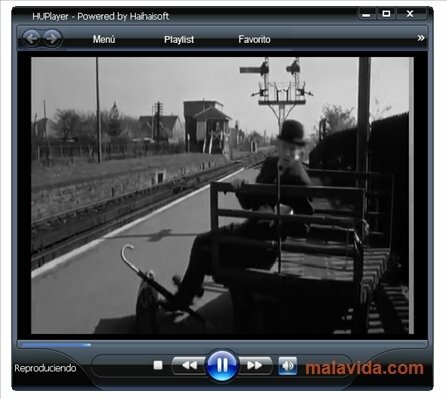 Play videos in HD format. Prepared to make the most of the benefits offered by hardware acceleration. In search of the ultimate player? When it comes to watching videos a video player that is quick and efficient and offers guarantees is essential. 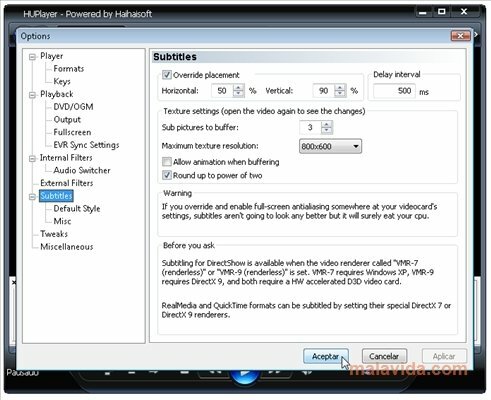 HUPlayer fulfils all these requirements, it's free and offers us the possibility to watch videos almost instantly. If you're worried about its appearance you'll have the chance to choose the skin of your choice, its configuration options a very complete and it is can be handled very easily. 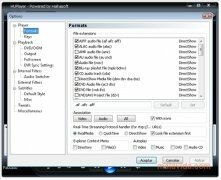 Download HUPlayer for free to watch your videos like never before.